Driving under the influence is a common arrest in the sate of Florida; many Florida drivers are unfamiliar with the definition of a DUI, or what the consequences are if arrested for one. It is essential to be familiar with the full description what a DUI is, as well as what to do if pulled over for suspicion of these actions. If your normal faculties are impaired by alcohol, or any of the substances previously listed while having physical control of a vehicle, you can be arrested for driving under the influence. In Florida, a blood alcohol level of .08 or more constitutes alcohol impairment beyond the legal limit. Nonetheless, if law enforcement suspects that you are driving under the influence, you may still be arrested if your blood alcohol concentration (BAC) is below the legal limit. 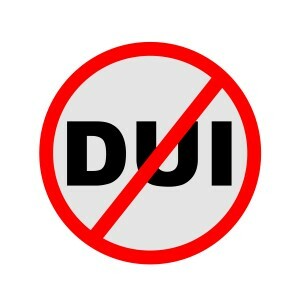 If you are arrested for a DUI and your BAC is under 0.8, this can decrease the outcome of a DUI conviction. However, you will still have to bear several inconveniences that accompany battling a DUI charge. Once pulled over, police officers look for several symptoms of impairment. A driver will initially be pulled over for a minor traffic violation, then the officer will immediately proceed with dialogue in order to determine if the driver is impaired. This procedure may result in a DUI conviction. It is indeed your right to refrain from answering any questions without a lawyer present however; not doing so will surely rouse the police officer’s suspicions, which will likely consummate a further investigation. If the police officer asks you to exit your vehicle, you must do so. However, if asked to submit to a sobriety test, you may kindly refuse. If you are confident that you can pass a sobriety test, it is still in your best interest to refrain from doing so because the officer will determine if you have passed or not solely on his or her own judgment. When disputing a DUI charge, these consequences are among a multitude of difficulties that one can encounter. Fully understanding the severity of these consequences is very important, and it is crucial to be familiar with the precautions needed to avoid being arrested for a DUI. It is important to immediately seek legal counsel if you are charged with a DUI. If you or a loved one has been charged with a DUI, Call Blick Law Firm today for a free 15-minute consultation with attorney Michael Blickensderfer. This entry was posted in Blog, Criminal Law, DUI and tagged Criminal Arrests, criminal attorney tampa, drunk driving, dui lawyer, is a dui a felony. Bookmark the permalink.